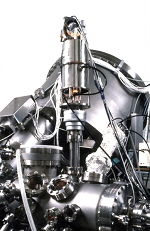 Thermal desorption spectroscopy technique requires 'CLEAN' heating. 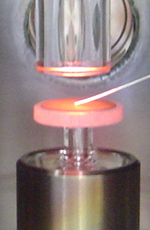 Heaters which uses a filament could give outgas from the filament and the gas would affect the result of spectroscopy as noise. 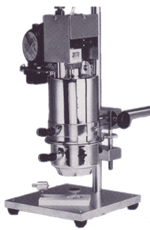 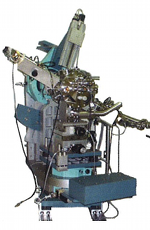 In this point of view, the Infrared non-contact heating method like Thermo Riko's GV/GVL/GVH heaters are the ideal heater to achieve ultimate cleanliness while analysing the desorbed gases from a sample, because its heat source (IR Lamp) is outside of an analysis chamber and there is no chance to produce extra gases in the analysis chamber. 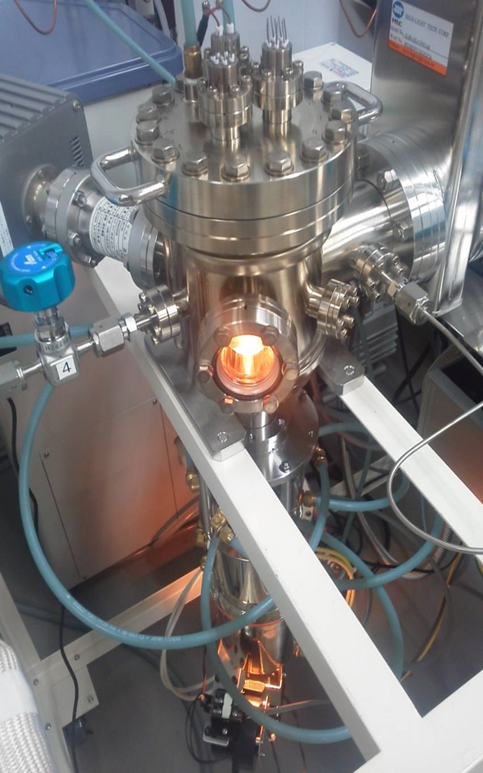 The picture below shows a thermal desorption spectroscopy system which equips GVL298 - Quartz Guided Infrared Heater which is installed in Yamaguchi University (Nanofab Platform). 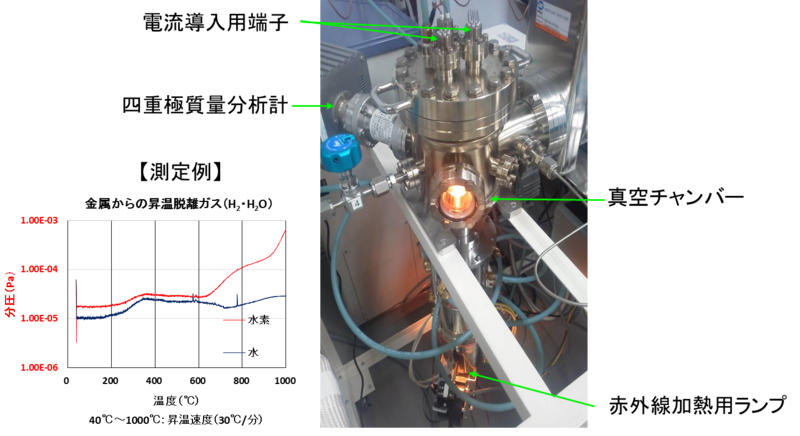 (picture by courtesy of Kyoto University Nanofab Platform.) 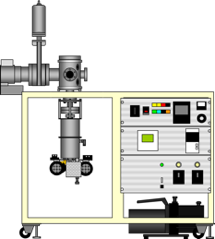 An example data can be seen here.